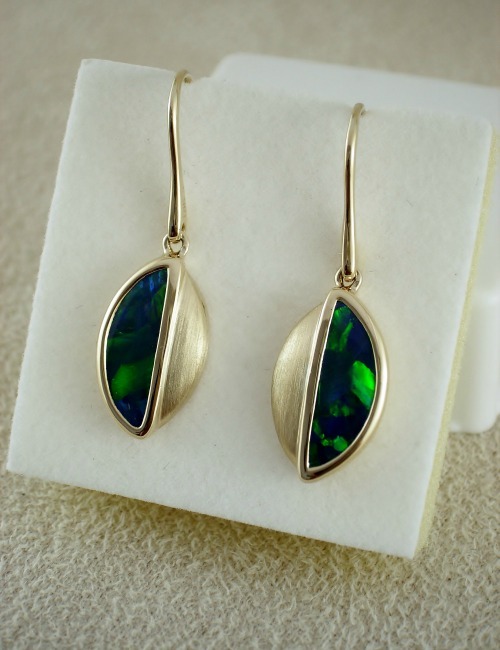 These solid Black Opals have a large pattern that glows emerald green with a touch of gold colours from a deep green blue base tone. The earrings are set with a hook in a striking design with a brushed finish to the 18ct yellow gold. 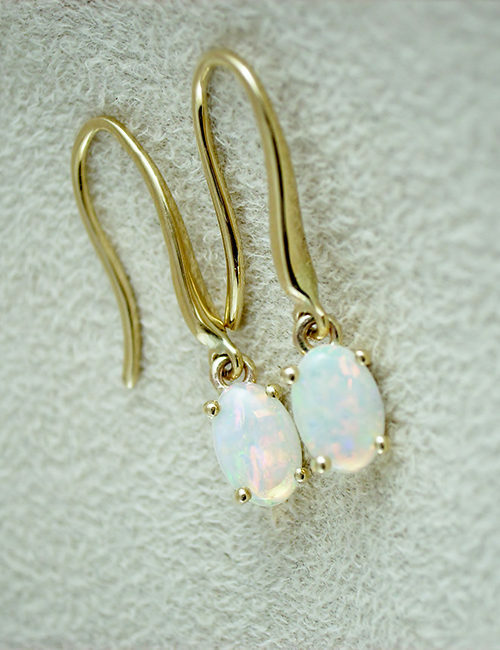 They measure 30mm in entire length, with the opals alone measuring 14mm long, 5mm at the widest. Opal weight…..2.35 ct, gold weight…3.71 grams.